Anne Arundel Dermatology’s Winter Skin Giveaway – Contest Rules and More! Start off the new year with a chance to win skin care from Anne Arundel Dermatology! More details below on our Winter Skin Contest. Our online giveaway begins January 16th, 2019 and ends on January 25th. During that time, all you have to do is follow us on Instagram, like our post and tag a friend to our post to be entered to win a winter skin protect and renew package. 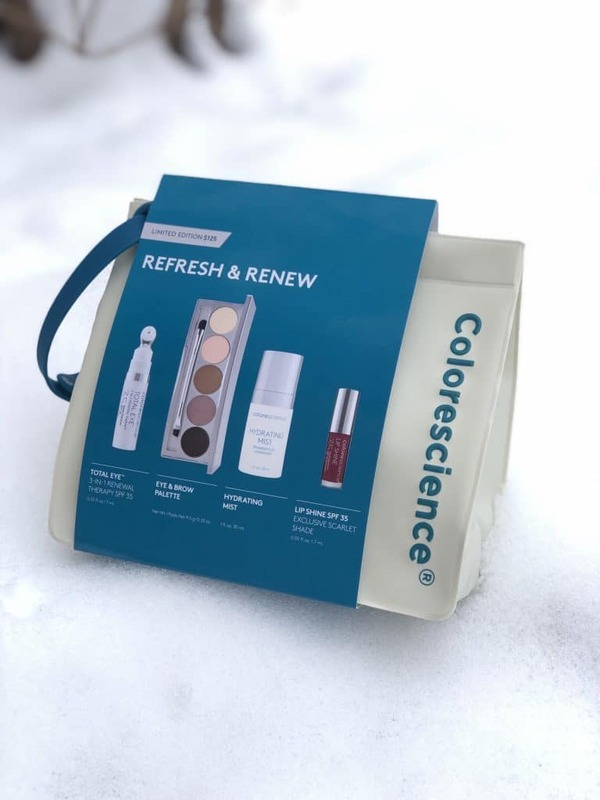 The prize is a Limited Edition, Refresh and Renew set from Colorscience®! To enter the Winter Skin Contest, visit us at www.instagram.com/annearundelderm. Follow us, Like and Tag a friend in our post announcing the giveaway. You’ll have 2 weeks to participate. NO PURCHASE NECESSARY. Must be 18+. Must be a resident of the United States of America to enter. This giveaway started Jan 16, 2019 12:00 PM EST and ends Jan 24, 2019 11:59 PM EST. Winner will be selected at random and contacted Jan 25th, 2019. Winner will have (5) days to respond back to confirm winnings. Giveaway hosted by Anne Arundel Dermatology. AAD Employees and family excluded. Void where prohibited.